I remember my dad bringing home a civil defense brochure that was published in the early 60’s. 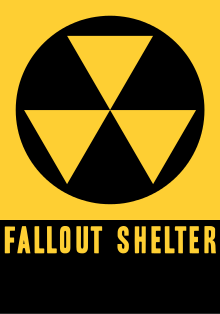 It detailed various types of nuclear fallout shelters that a person could construct using simple and readily available materials. When I was young, the notion of such a war made me so afraid that it was often hard to fall asleep at night. Although after several years, it began to make me feel more angry than afraid --not so much with any potential enemy but rather with the constant presentation of fear without a countering measure of hope. Hope will never dictate an outcome but it has the capacity to change what directs a heart.